If you’re invested in making the most of your home you’ll want to enlist the help of a professional colour consultant before you make any painting decisions. They can show you exactly how different colours and colour combinations will affect not only the way a room looks but the way you, your family and your guests experience it. Neutral Colour Schemes – These generally create a relaxed feeling and are prized by people wanting their home to be a sanctuary of style and comfort. Cool Colours – Light blues, greys and greens are often used to make a room feel larger. They create the perception that the painted area is receding. Dark Colours – Dark colours tend to make people feel that the walls are closing in on them. This is the main reason you’ll rarely see them employed in a home. Colour has other associations as well, not all of them strictly psychological, that need to be taken into consideration when repainting your home. Cultural Associations – Different colours are thought to be significant by different cultures. Red is considered fortuitous by the Chinese and other Asian cultures. While white is considered by some to look “clean” and others to look “cheap”. Colour and Emotion – Science says not everyone’s perception of colour is the same. But does it matter? Probably not since colour is primarily an emotional experience. Making sure people have the experience you want them to have is one of the most important jobs of the colour consultant. Personal Colours – As with smells and shapes, different people develop personal associations with colour. During a paint colour consultation your consultant can find tasteful ways to ensure your home says ‘you’ by integrating colours important to you into the overall design. 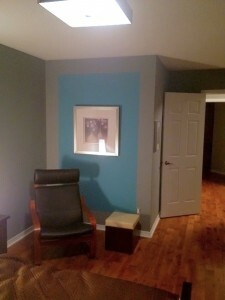 Anita Ricci of Bright Ideas is a certified Benjamin Moore Colour Expert as well as being a certified Dewey Colour Specialist. She can help you discover the heart and soul of your home and bring it to life through the application of colour and design. 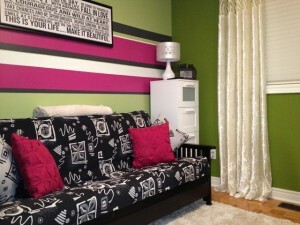 Call Bright Ideas today on 416-671-6236 to find out more and schedule a paint colour consultation.